Posted on October 9, 2018 by Elissa L.
Fair Weather Birders joined me last week to explore field edges near the Nature Center and at Little Farm Pond. Raptors were on display. 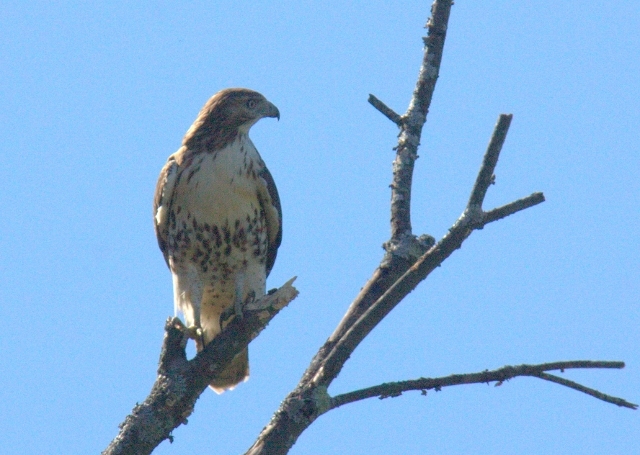 This red-tailed hawk glided in to perch overlooking Indian Brook field. 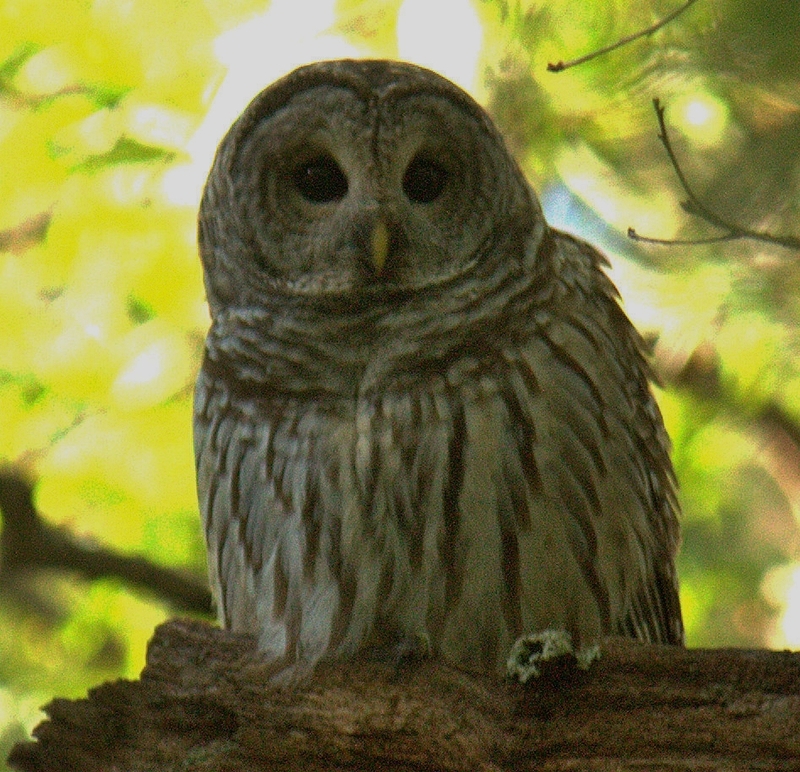 The brown feathers on the belly form a “band” that is unmistakable for identifying red-tails. Pollinators are still active especially in the fields and native plants garden. 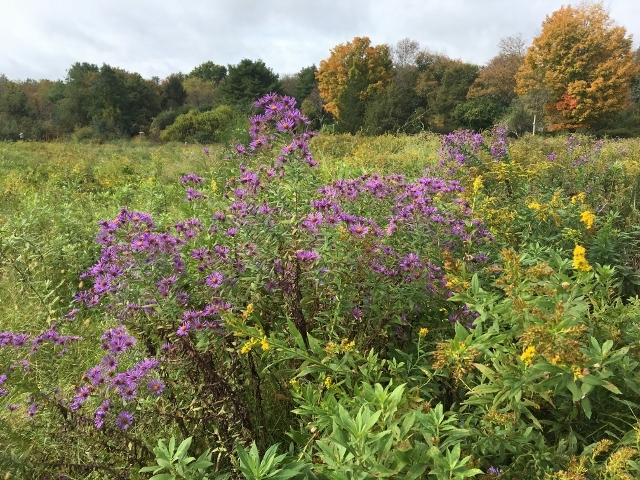 New England Asters and goldenrods are favorites of bees, Monarchs, and other butterflies. 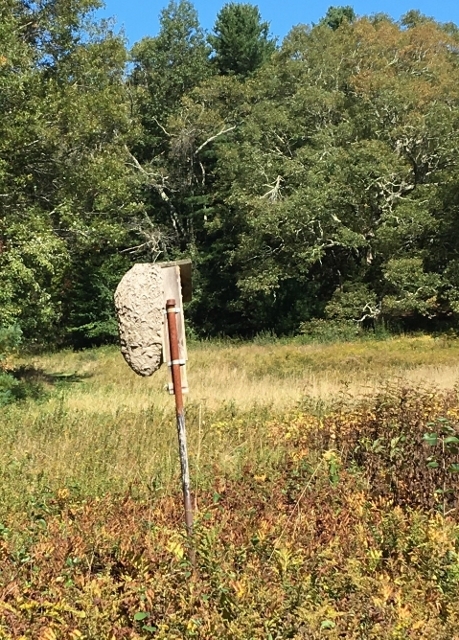 Citizen scientists monitoring our 55 nest boxes intended for birds noted a large paper wasp nest in July. That nest continued to grow and now almost completely covers box number 26. Come and see what seasonal signs you can find! 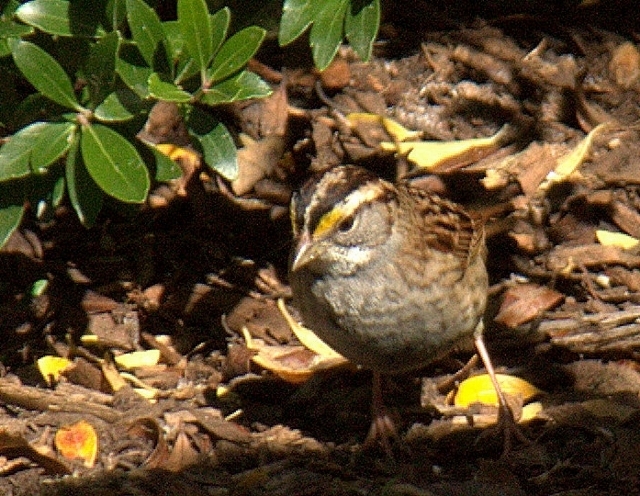 Many thanks to Acima Cherian for sharing photos she took while Fair Weather Birding. This entry was posted in news on October 9, 2018 by Elissa L..